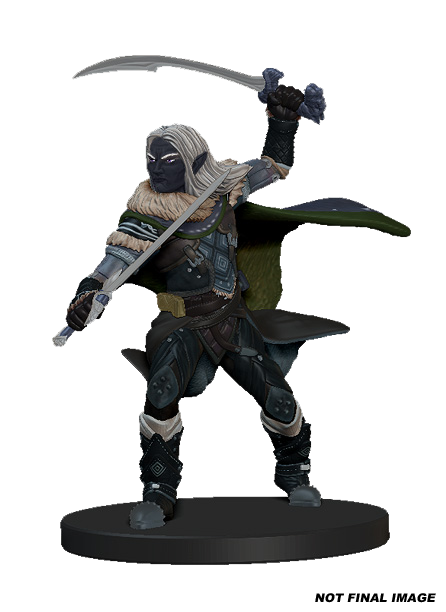 A figure of Drizzt Do'urden, the famous R.A. Salvatore character, is among the prepainted lineup. 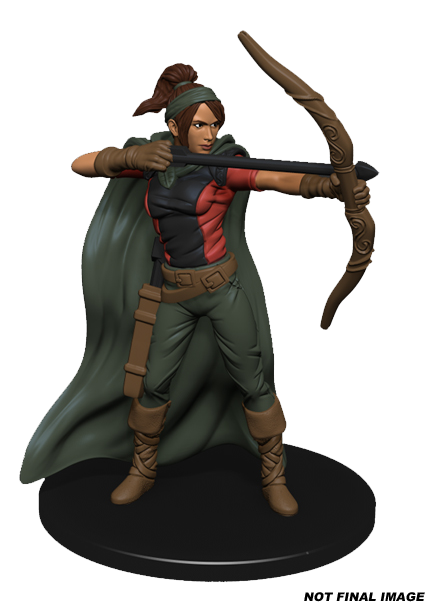 WizKids announced today that they would be producing a line of prepainted Dungeons & Dragons miniatures under license from Wizards of the Coast to go along with this summer's Tyranny of Dragons crossover event. 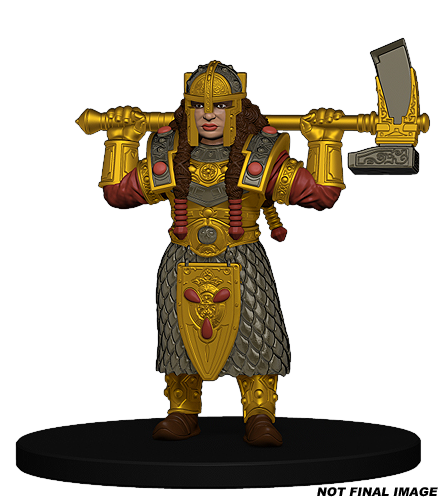 The minis will be sculpted by the same team that makes the HeroClix and Pathfinder Battles miniatures, so consumers should expect about the same level of quality. According to a representative of WizKids, the packs of miniatures will come in both visible and blind packs at prices between $15.99 and $29.99. The Attack Wing: Dungeons and Dragons sets, based on the Star Trek Attack Wing game from WizKids, will make their debut along with the full range of D&D miniatures at this year's Gen Con and New York Toy Fair this year. "Think of Gen Con as the coming out party for our D&D line," said a WizKids representative on Reddit. That makes sense, because Wizards of the Coast's own untitled new edition of Dungeons & Dragons will debut at Gen Con this year. The Attack Wing: Dungeons and Dragons game has very sparse details at the moment, but it was described by the company as a "miniatures skirmish game" of "dragons fighting dragons... and MORE!" Here's hoping for some spelljammers thrown in. 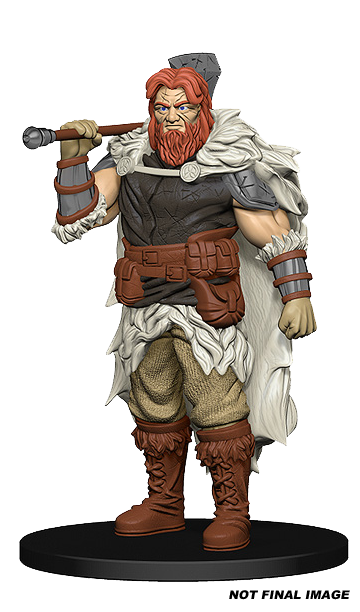 The line of figures not associated with the Attack Wing spinoff will be directly inspired by what's happening in Wizards' own Tyranny of Dragons storylines, which will likely be published as adventures for D&D. "This year is going to be the biggest in Dungeons & Dragons' history," said Nathan Stewart, Brand Director for Dungeons & Dragons in a press release. "It's important for us to work with strong partners such as WizKids to ensure fantastic Tyranny of Dragons experiences for all D&D fans." The set includes a figure of at least one iconic fan-favorite character, Drizzt Do'Urden, and a Wizkids representative said that others would be included. As to the possibility of a giant Tiamat, Queen of Evil Dragons, miniature the same representative said "We can neither confirm, nor deny..."
Given Tiamat's status as the ultimate enemy of Tyranny of Dragons, and the existence of a $29.99 "Case Incentive Promotional Figure" in WizKids' pricing plans, we'll take that as a confirmation there's a five-headed dragon queen miniature in our future. 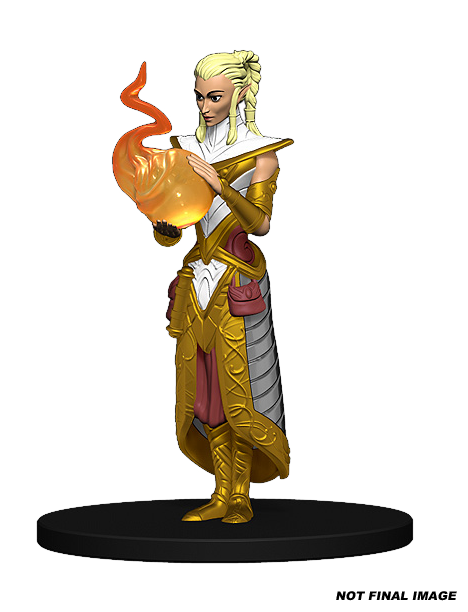 Additionally, WizKids did hint that it's possible there could be D&D minis on clix bases sometime in the future, but no plans for that are in action right now. Skip below the gallery for a full list of prices and products from WizKids. We'll keep you updated with any new information as it's released.